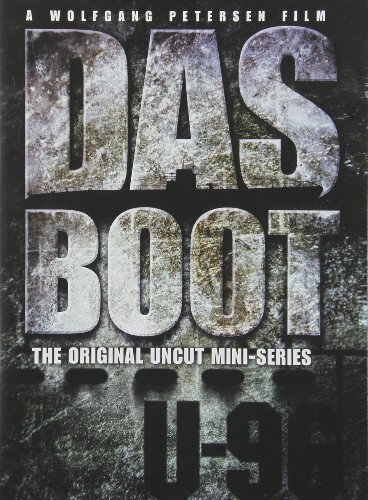 Widely imitated yet never equaled, claustrophobic thriller Das Boot resurfaces in the definitive Original Uncut Version! At the height of WWII, a young submarine crew heads out to sea on a top-secret mission that all but ensures most will never make it home alive. Ordered to patrol the Atlantic and destroy an Allied armada bringing supplies to Britain, these raw recruits must band together, bracing themselves against a depth-charge assault from an unseen enemy – can the Captain and his crew summon the strength to escape their watery grave? Oscar-nominated director Wolfgang Petersen’s five-hour epic adventure deftly explores tensions as pressure builds to an explosive climax, packing a visceral punch few movies can match. 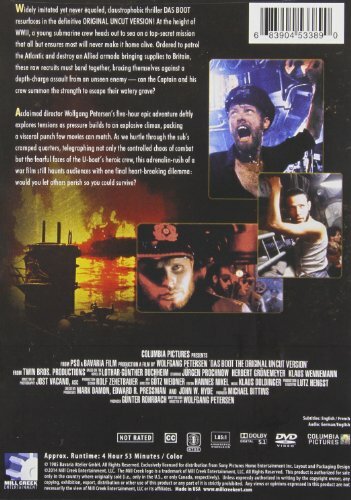 As we hurtle through the sub’s cramped quarters, telegraphing not only the controlled chaos of combat but the fearful faces of the U-boat’s heroic crew, this adrenalin-rush of a war film still haunts audiences with one final heart-breaking dilemma: would you let others perish so you could survive?